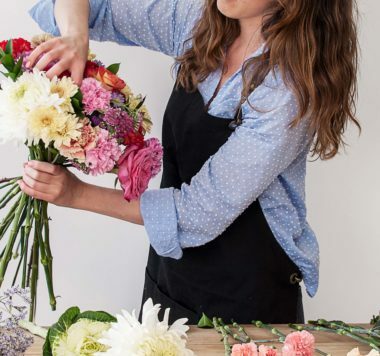 Making great bouquets can be challenging if you’re not a florist. It takes patience, good eye and some really good flowers to create compositions that really take your breath away. Selecting the flowers you’ll use, gathering them in the right way and adding details are essential steps in the process so, with the help of a Colombian florist, we’re going to help you perfect your technique. 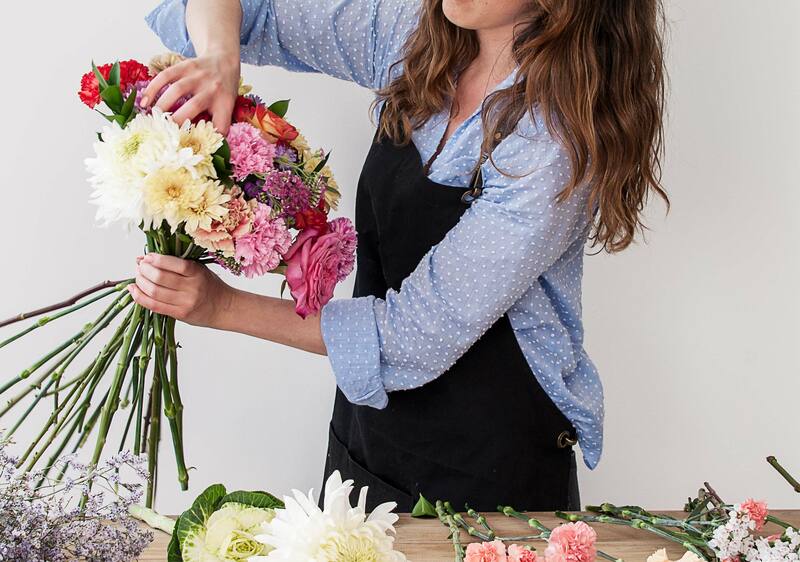 Juliana Bustillo is a self-taught florist with a delightful sense of style. 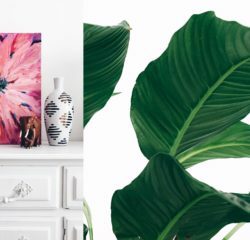 Ora, her floral agency in Colombia’s capital, produces gorgeous contemporary designs. We asked her to create for us a bouquet that showcases the variety of Colombian flowers and plays with the many sizes and colors that we offer all around the world. Choose the flowers that will go in the bouquet, thinking of a nice mixture of colors and shapes. Use a wide table to lay them individually and make sure their stems are similar in length and free of leaves and branches. Juliana starts with a rose as the center of the piece, grabbing firmly the stem with one hand and using the other hand to add new flowers. The technique to gather them together is to start placing other flowers at a 45° angle, grasping the stems from a distance of at least 6 inches away from the heads. Never add the flowers in a straight angle, always diagonal. Every time you add a new flower, slightly rotate the stems you have in your hands in the same direction. Juliana says it should look like you’re building a tipi with them. Don’t stay committed to one type of flower. This is the moment when you start to bring in contrasting varieties with different sizes and tones. And don’t forget the foliage! While some leave it for the end, Juliana prefers to play with it from the start, to make a more natural looking composition. 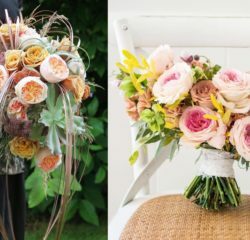 As your bouquet begins to take a round shape, it will become easier to decide which flower to add next. For example, a red carnation will stand out more next to yellows and purples than close to another red flower. Give them all an opportunity to shine! Flowers that have lots of volume or puffy shapes are best left for the end, so they get more space to show themselves instead of being trapped in the middle of the bunch. As your bouquet gets bigger, you’ll see some flowers will sink. Just gently grab their heads and lift them again, to make the piece more evenly round, you can select the smaller varieties and lift them over the rest of the composition for a more organic effect. And you’re almost done! If you’re doing well, you’ll see the stems seem to twist in the diagonal direction you gave them, making it easier for you to cut the tips more evenly (remember that diagonal cuts are also essential). After cutting the stems, it’s time to tie them up! Pass the ribbon around the stems using your free hand. When the ribbon is in place, you can lay the bouquet on the table very carefully to free both hands and tie it with care. You did it! A bouquet to surprise someone special or treat yourself, all thanks to Juliana’s useful guidance. If you want to check out her floral designs, follow her Instagram here.